your wedding should resemble you. "Exactly the kind of person we are looking for and a whole lot more. Almost feels like one of our friends will be marrying us." SCOTT & STEPHANIE VIA TEXT, IMMEDIATELY AFTER OUR FIRST MEETING. Ritualisms creates bespoke, custom ceremonies for alternative, modern couples who want their wedding day to resemble them in every way. Unlike traditional ceremonies, each Ritualisms ceremony is designed artistically, with a flair for words, modern creativity, and zero agenda. I think you’re fun, I think you’re funny, and I think everyone should see it. Since 2011, I have based my approach to ceremony design with upbeat humor, impactful storytelling, and a fresh approach to the dusty and dry rituals of yesteryear. Grandma loved her church ceremony, but that was fifty years ago. Your wedding deserves to be different. It should be different. It should resemble you. I'm not just a minister, and I don't just marry you. I marry you your way, from the bottom up, helping you craft a wedding ceremony that resembles you. So hit me up, and let's get wed.
"The best thing you did was smile all throughout our ceremony. You were better than we could have ever hoped for." "You probably don't even realize that this level of service exists yet! Alina will meet with you wherever and whenever you want and keep in touch by email and phone. You can pick from templates or make up your whole ceremony yourself. She is completely supportive of doing things in alternative ways. She's full of ideas, but she lets you take the lead. She can tactfully bring up issues you may not have thought of, and suggest ways to address them. She's a good person to ask about touchy issues like seating relatives who hate each other, talking down a mother in law, and gently breaking the news that your wedding is not as traditional as your traditional parents expect. At your rehearsal, she is an expert cat-herder. Everybody knows exactly what they need to do and when, yet somehow she does all this while remaining warm and relaxed and funny. She made our Ketubah and a keepsake program, and they are GORGEOUS. We are getting them both framed professionally. Our wedding was touching and hilarious and it went off smoothly. A lot of the credit for all of that goes to Alina." "Alina is amazing. 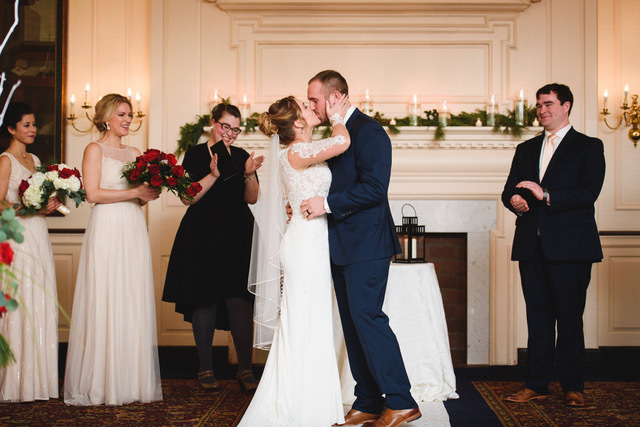 After a 30 minute interview at a coffee house, she put together a ceremony that was absolutely perfect. Our ceremony was funny, cute, touching, and was exactly what we wanted. I didn't really have her change anything. We had a handfasting as part of our ceremony and she braided the cutest cord in our wedding colors. I love this girl, and if I can think of anything else to need her for I will absolutely call her!!" "I am so happy we decided to go with Alina as our officiant. She put together a beautiful ceremony and incorporated both my husbands and my cultures and beliefs into it. 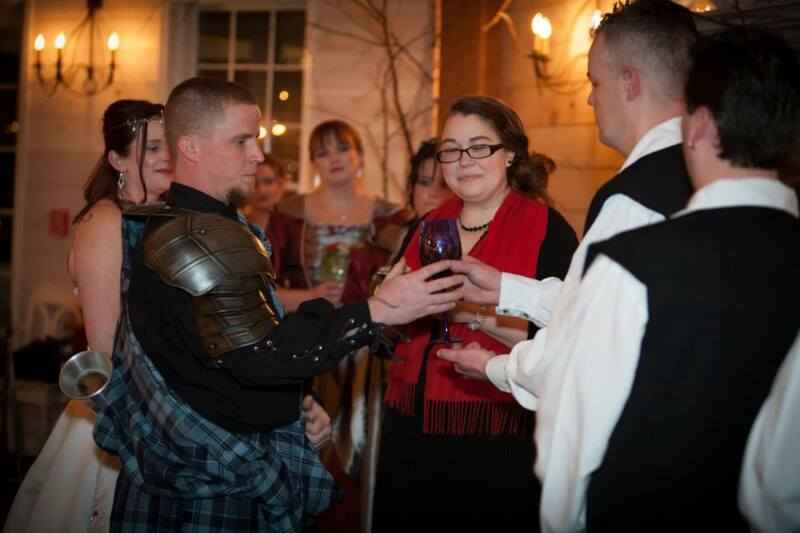 She knew exactly how to go about the ceremony and the handfasting ritual. She was new to the business but she acted with such professionalism you would think she had been doing this for years. Choosing her is a step in the right direction for any couple!!!" "Alina was amazing. We had a unique wedding situation and had a really hard time finding someone to marry us. Alina was perfect! She didn't judge our situation like so many other officiants did. When we met, we chatted about what we were looking for and Alina was very easy going and easy to talk to. We worked together to get a perfect ceremony for us! Alina also did a beautiful blessing for dinner. She really went out of her way to find the religious vs. secular balance we needed for our day. I am so happy we were able to work with her." "We contacted Alina only 2 weeks before the wedding via email and got a reply back pretty much instantly. I knew from her website she was the person I wanted to marry us and she didn't disappoint. 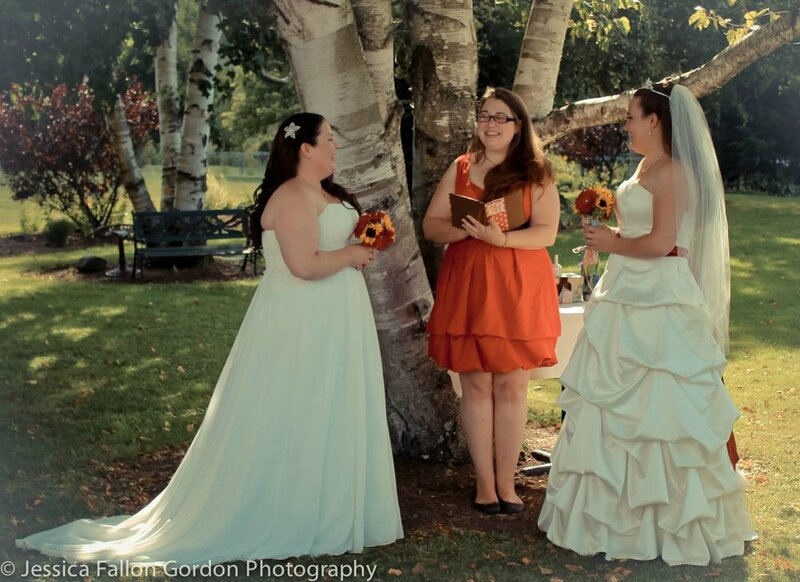 She got the ceremony together in a short amount of time and was a true joy to have as our officiant. Our day was perfect and so was she! Thanks Alina!!!" "After searching tirelessly for an officiant, we stumbled across Ritualisms. Alina was absolutely amazing. She took the time to get to know us on a more personal level. She also took into account everything we wanted, and from that she created a beautiful fully customized ceremony for us. She was always cheerful and extremely professional. She makes you feel comfortable because she loves what she does! I HIGHLY recommend you to at least check her out, you won't regret it." "Alina is incredibly sweet. Within minutes of meeting her we knew we had found the right person to create and conduct our ceremony. We worked with Alina to create an amazing and personalized ceremony tailored to us. She worked with us and helped us express the deep love and connection we have for one another, and the final product was the most beautiful ceremony that brought tears to the eyes of many family members and friends. Alina is incredibly sweet, kind-hearted, and talented. We thank her for helping us to create something truly special that we will never forget." 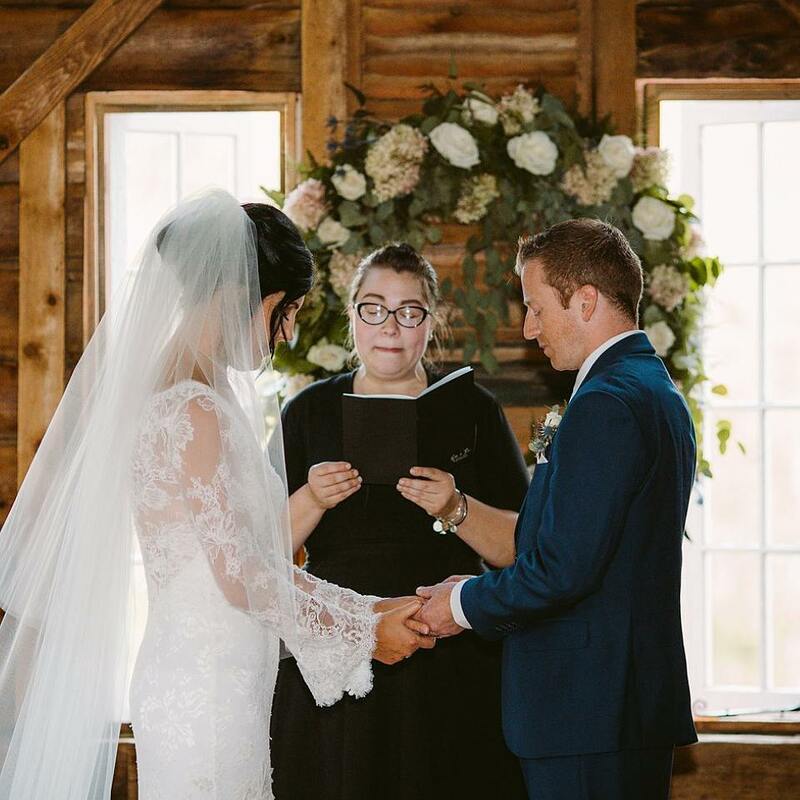 "We were so happy to have Alina as our officiant. She did an amazing job and was very flexible! I know that nobody could have done a better job creating a ceremony to fit us both as well as Alina did. She answered so many of the questions we had and came up with ideas that we had never even thought of. So many people asked us how we came up with such an original ceremony and we just say we couldn't have done it without Alina. She is so creative, smart and personable and it shows in her work." "LOVE Alina! Shes amazing. I should have written this review sooner so everyone could see how awesome she is. Alina created the perfect ceremony for my husband and I. Guests at the wedding are still talking about it. Incorporating all the funny aspects of our relationship into beautiful words, and changing things a few days before the wedding without issue. Thank you so much Alina!." "Alina was absolutely amazing. She wrote the perfect ceremony to reflect exactly who we are and what we wanted. She was so eloquent in her writing and talented. Even the way she delivered the ceremony was amazing! We would definitely recommend Alina to anyone. You will be so so happy to have her, just as we are!!! :)"
"Alina was the perfect officiant for our wedding ceremony. 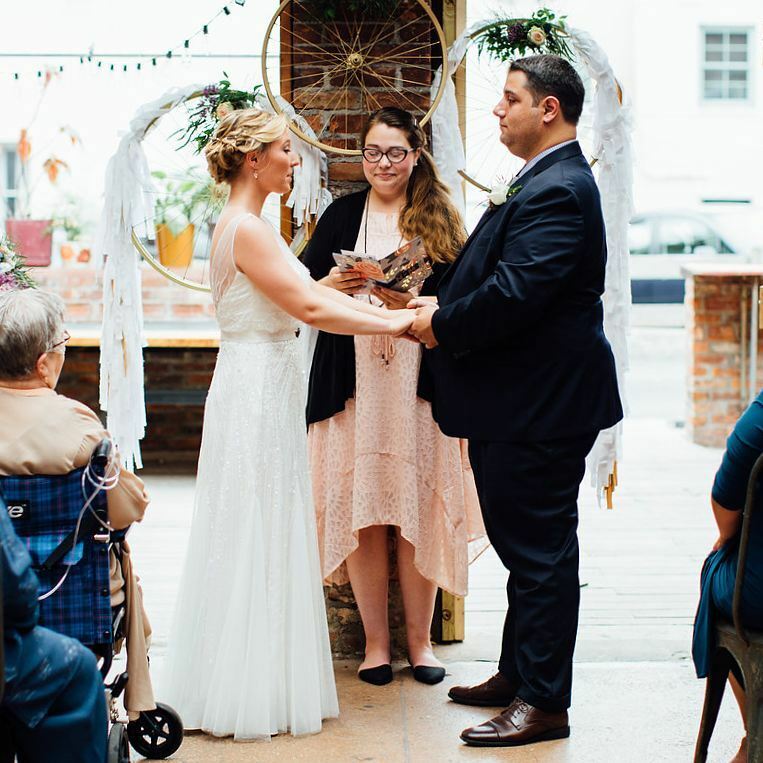 My husband and I wanted a ceremony that was casual and personal for our outdoor wedding, with a personable officiant that worked with our personalities. Alina was a pleasure to work with. Alina worked with us during the months prior to the wedding to write the most personal and perfect ceremony we could have hoped for. We have had friends and family tell us that they actually learned more about us as individuals and as a couple from hearing all of the different parts of our ceremony. Countless people have told us it was one of the most romantic, beautiful, and unique wedding ceremonies they have ever seen. Alina was a huge part of making our day as wonderful as it was, and we couldn't be happier with our ceremony!!" "oh. my. goodness!!!! I started getting choked up just reading the first couple paragraphs... you made it so personal and so special, I couldn't have asked for better! Thank you!!" Like what you see? Want to know if I'm available for your date? Let's work together to make your ceremony different, (AKA awesome), just like you! Drop me a line by filling out the form below, If your date is available, you'll hear back from me soon. If your date is flexible, please let me know!